I'm kind of a spelling snob. I take pains to make sure I spell everything correctly, so it bugs me a little bit when I receive mail that contains spelling mistakes. If you want to see Outlook's spell-checker every time you click Send, a simple tweak is all it takes. 2. Click the Spelling tab. 3. Tick the box marked Always check spelling before sending. That's it! 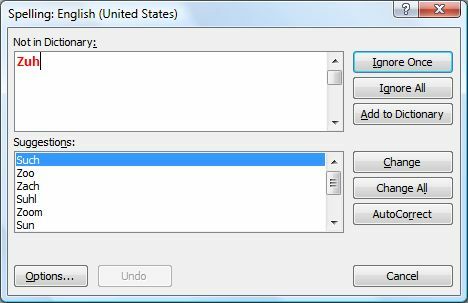 Now, when you click Send, Outlook's spell-checker will immediately appear, giving you a chance to fix those "Hey, Rick, you are so stoopid" kinds of mistakes. Of course, by default, Outlook uses squiggly red lines to indicate misspellings as you type, but I know many folks who prefer to just bang away at the keys and then fix the mistakes at the end. Me, I don't make speling mistakes, so I don't really need either feature.